Anya Ohmai has just released the first pieces of her new clothing line and they are really super. I was so excited to see this cute military style jacket and couldn’t wait to put together an outfit with it. It comes in 4 colors but since I am partial to brown, I decided to start with that! The jacket has gold braid, a prim collar and prim puffy sleeves…. and the cutest prim buttons running down the front. I wore it over Malt’s Willow tunic ’cause the colors and the shape seemed so perfect. I wanted tight leggings and you can’t go wrong with Maiiki’s. They are so shiny and have the just right scrunchy bits around the ankles. The necklace is from Malt too and I was able to color the pearls to match the tunic. (Yay for being able to change the texture color!) 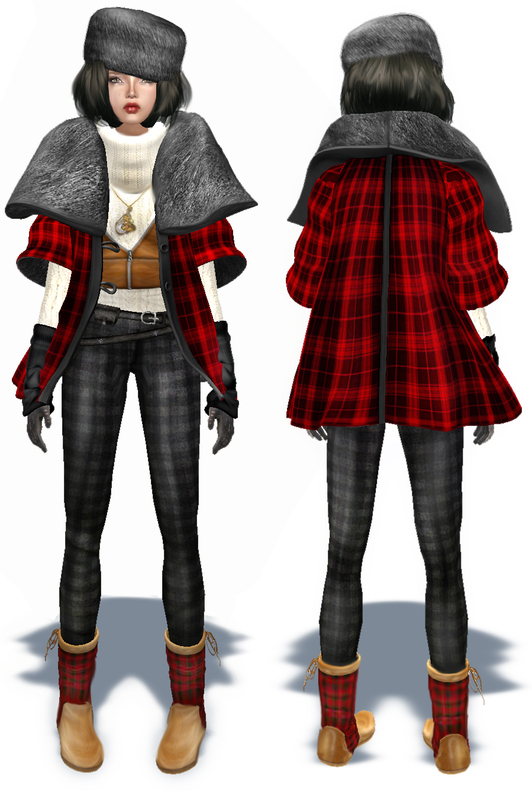 I wanted a hat with this and Lamb’s hair with a beret that is also “colorable” was great. Paulina Kaestner’s French bag had the right casual look and the color was right on. To Boho or not to Boho…. …that is the question. 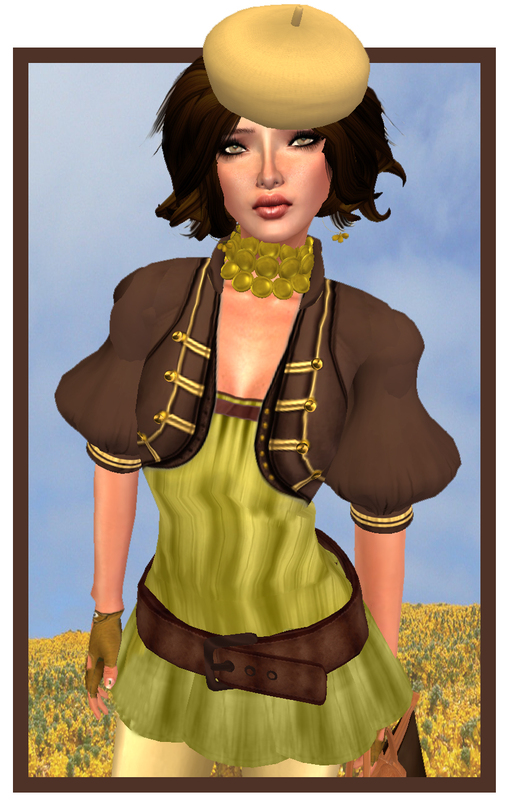 I was so excited to see Maitreya’s new releases and raced down to see all the yummy newness. I really loved the new sculpted tops and belts and finally chose which colors to bring home. My first inclination was to go Boho and I quickly put together the first look. I originally thought I would use the batik version for the Boho look but as it turned out once I started working with the batik top a totally different, definitely non-Boho version was the outcome. I liked them both and so I share them with you…hope you like them too! These boots from Redgrave are biker chick heaven. So…I had to put together a little biker action outfit. 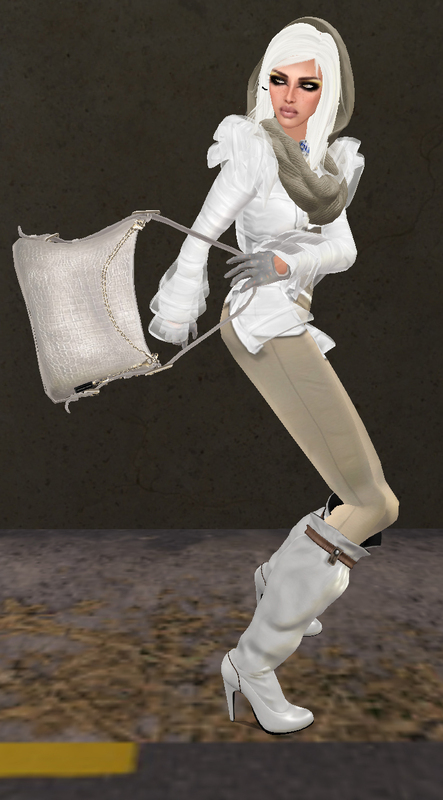 The tee-shirt from Giano has been sitting in my inventory for a while and I rediscovered it today. Love, love, love the design on the back. The leather Armidi Military Coat is the result of my shopping frenzy at the Armidi website the other day. 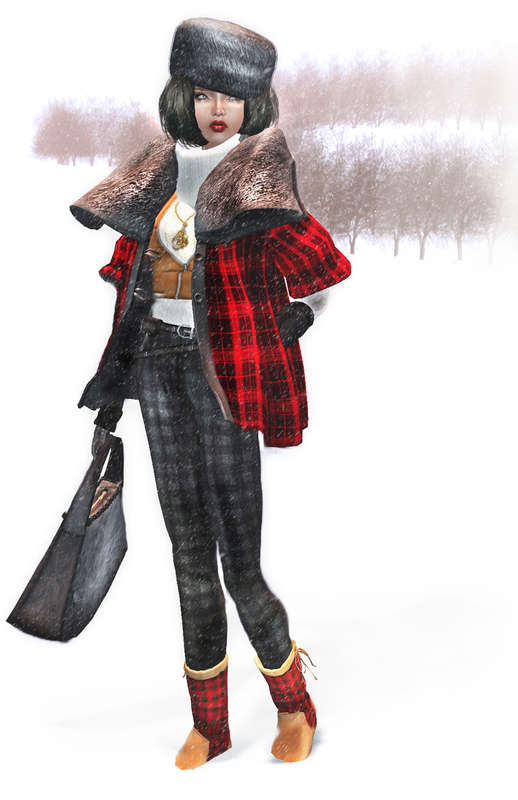 Oh…and the belt by Coco is one of the best I have seen in sl. Beautifully textured and it fit me perfectly with no modding! Once I got this on I actually went out and bought a bike….can’t wait to roar around on it.